Family illness means I’ve been short on reading time this week, but this debut book seems worth a look for those who enjoy historical fiction. I’ve not read it but copied the description from amazon. Its 293 pages so a good length for those like me who enjoy longer reads, and priced at £4.91 or free if you have Kindle Unlimited. Authors need reviews, especially debut authors who need to build a following so if do do enjoy it please leave a review, It only needs to be a few lines long and will make such a difference. 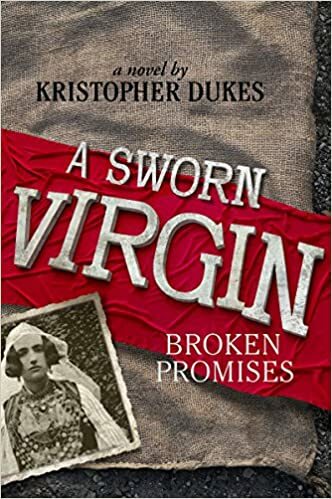 WHEN 18-YEAR-OLD DIANA’S FATHER IS SHOT DEAD on the cobblestone streets of 1910 Eastern European Albania, Diana must abandon her dream of studying art in Italy as she struggles to survive in a remote mountain village with her stepmother Mirlinda. Nearing starvation, Mirlinda secretly sells Diana into marriage with the cruel heir of a powerful clan. Rather than lose her freedom, Diana swears to remain a virgin for the rest of her life, a tradition that gives her the right to live as a man: she is now head of her household, can work for a living and carry a gun. She may participate in the vengeful blood feuds that consume the mountain tribes, but she may not be killed — unless she forsakes her vow. When an injured stranger stumbles into her life, Diana nurses him back to health, saving his life — but risking her own when she falls in love with him . . .